Log in for full access to stabroeknews.com. You can also post comments, and manage your email subscription. Keep me logged in. (Uncheck if you are using a shared device). Only one active session is allowed per subscriber. 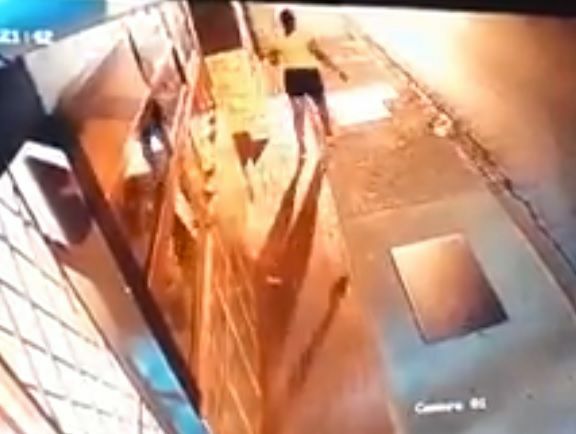 The screenshot from the CCTV footage shows the moment before the woman was hit and killed. 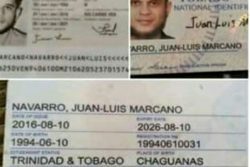 (Trinidad Express) A woman is dead, and police have arrested one of their colleagues who allegedly hit her with a speeding vehicle in Diego Martin on Tuesday. The woman was walking on the pavement at Salandy Street when she was struck head on. On impact the woman’s body flew in the air, and then landed on the pavement. The driver of the vehicle did not stop. The victim has been identified as 46 year old Shervon Medina of Pinto Road, Arima. 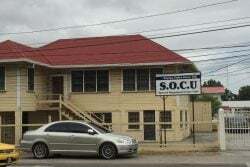 Madina was taken to the St James Medical Complex where she was pronounced dead. Arrive Alive president Sharon Inglefield called the incident ‘tragic” and “unacceptable”. 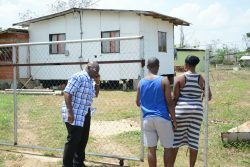 Inglefield said that the Trinidad and Tobago Police Service (TTPS) must demonstrate a zero tolerance attitude to these incidents. “Our condolences to the family of this latest victim of the reckless driving on our roads. Another pedestrian loses her life while walking on the sidewalk/pavement. Tragic and unacceptable! We do hope the TTPS has the support to focus on the victims of road crime. To complete their case files, and make more arrests which is a preventative measure to save lives. Our law enforcement officers need to be of impeccable character in every way, to include responsible driving behaviour. Good role models are necessary, especially at this time, with the increase in road crime. Zero tolerance must be demonstrated in every aspect. In memory and with respect for all pedestrians, we are appealing to the TTPS to also ticket drivers/owners of vehicles, who park on these sidewalks which should be a safe passage to and from home for all our pedestrians! A complete lack of respect continues for our pedestrians and other vulnerable road users who have a legal right to the use of our roads”, said Inglefield. 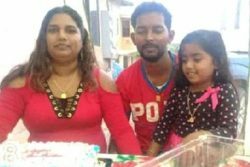 Trinidad triple murder/suicide: He killed his family and himself: But why? A FREE roundup of top Guyana news stories, photos and more you might otherwise miss. Delivered every morning. 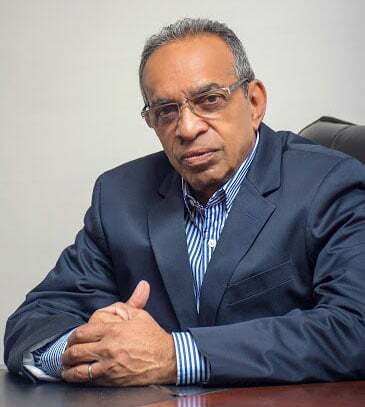 © 1997 - 2019 Stabroek News. 46-47 Robb Street, Lacytown, Georgetown, Guyana.